Buckinghams not your bag? Not feeling Frehley? Like many, we've openly criticized this festival in the past; however, we would be remiss to ignore the fact that there are a lot of live, loud, and local musicians playing in the festival. So before you throw the baby out with the bathwater, consider the range of options you have for entertainment at Celebrate Erie beginning Thursday, Aug. 16 and continuing through Sunday – if you're not willing to celebrate, or even tolerate, the headliners of Erie's annual crap-rock-a-rama, check out any one of the great local bands performing in the festival instead. Thursday night, local favorite Jackson Station will perform at 8 p.m. in the Taste of Erie Gazebo in Perry Square, sponsored by ECGRA. Friday night, Falling Hollywood will perform at 9 p.m. at the 11th and State Street Stage, sponsored by National Fuel Foundation; they've just released their first album, "Set the Table," and are probably pretty pumped about playing some of the new material. Then, on Saturday night at 5:30 p.m., one of Erie's favorite bands - Eric Brewer and Friends - will appear on the Main Stage, sponsored by Highmark and Giant Eagle. Eric Brewer and Friends have been rocking Erie since 2007, and they're getting ready to produce a new album, so chances are good that if you go, you'll probably get to sample some of those tasty new grooves. Brewer – along with friends Charlie Meyer on keys, Steve Barone on drums, Ralph Reitinger on bass, and Joe Cieslak on sax – leads one of the tightest, most versatile acts in town, capable of throwing down tight jazz grooves, dirty blues, raucous rock 'n' roll, or Phish-y jam band improvisations that leave even the most jaded Erieites with a smile on their faces and a song in their hearts. And a couple of dollars in their pockets, too – did we mention that this show costs, ummm, free? On Sunday, The Tiger Maple String Band performs at 1:30 p.m. on the main stage. And, if you can make it to the end of the night, there will be fireworks! So if you're not hyped about the headliners at Celebrate Erie this year, do yourself a favor – find a designated driver, some sunscreen, and a folding chair, buy yourself a beer or 10, and go see these incredible local and regional bands. 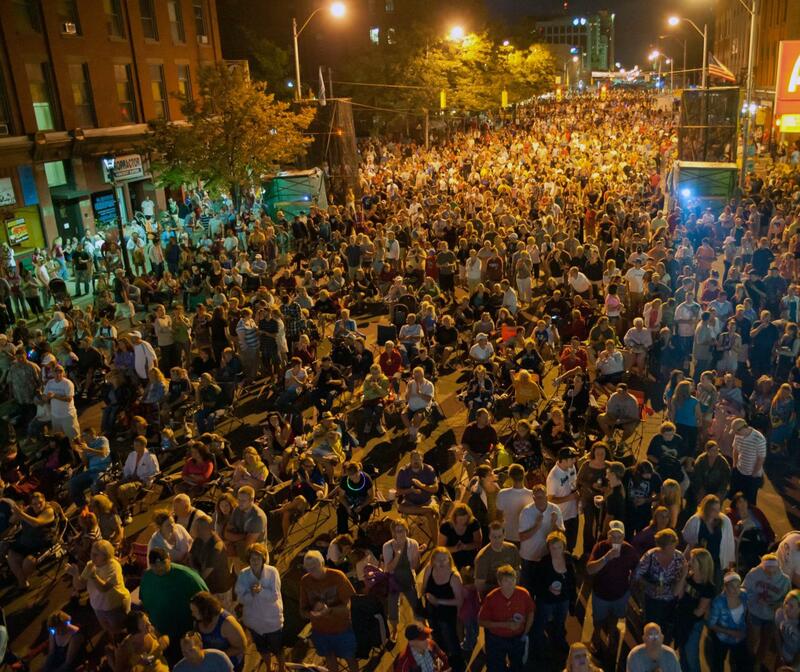 You'll be supporting local musicians and local businesses; there's really no better way to celebrate Erie. So go celebrate Erie, Erie! 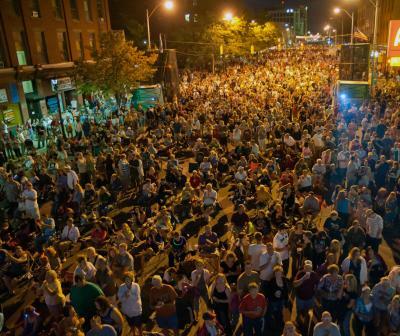 Celebrate Erie takes place Thursday, August 16 through Sunday, August 19, 2012 on State Street from Fourth to 12th streets. Admission is free. For more information, visit www.CelebrateErie.com.